OUR PRICE: $29.65 - Join Rewards Get $1 Dance Dollars On This Item! 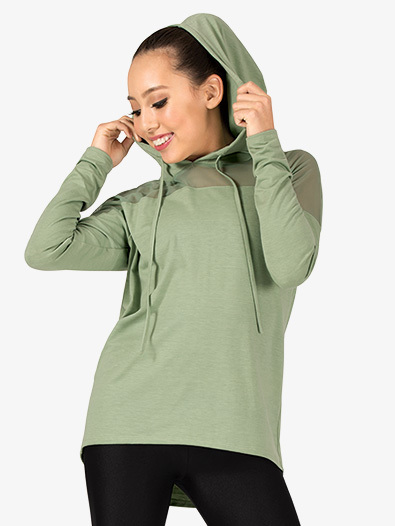 This multi-functional sweater is stylish, comfortable, and can be worn to dance class, rehearsal, or for a casual day off! 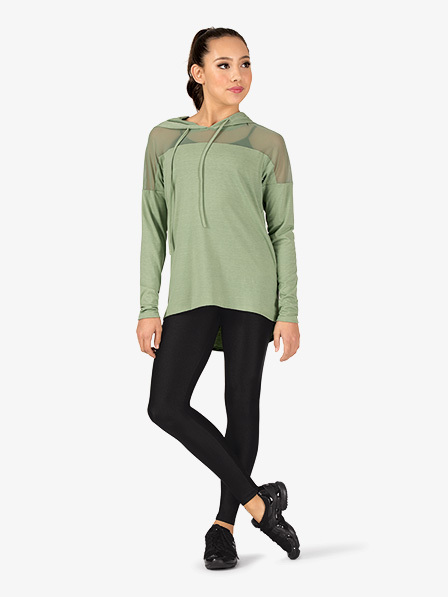 Sweater features an attached hood with drawstrings, a mesh yoke front and sleeve panel, and buttery soft, lightweight fabric.